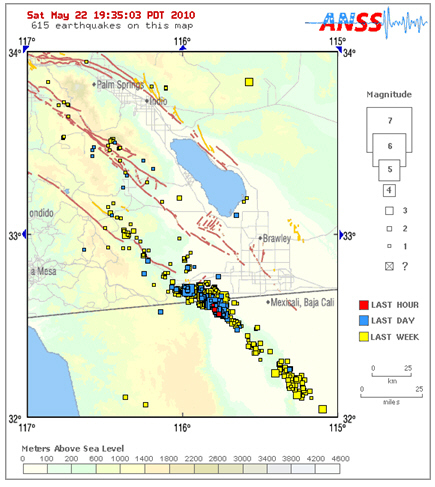 “A series of moderate earthquakes south of the California border on Saturday shook buildings in downtown San Diego but there were no reports of damage or injuries,” according to the AP. The U.S. Geological Survey says a magnitude-4.9 earthquake struck at 10:30 a.m. Saturday, centered in Baja California about 16 miles southwest of Calexico. A magnitude-4.8 earthquake struck about three minutes later, followed by a 3.6 quake at 10:59 a.m.
Click here to see the Red Cross San Diego website. Click here for information on earthquake preparedness.